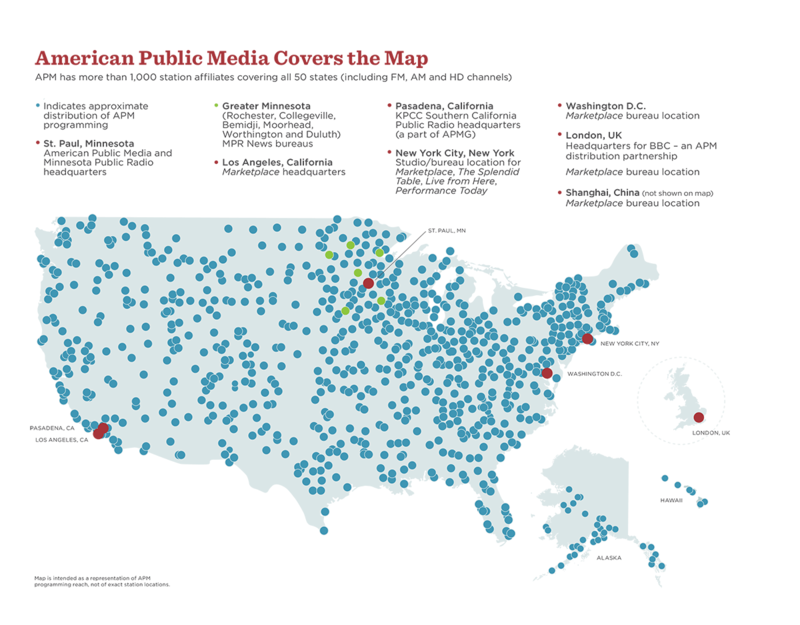 American Public Media is one of the largest producers of public radio programming in the world, combining multi-regional station operations, national content creation and distribution in one organization. Approximately 1,000 stations carry our 20-plus national programs, with more than 19 million weekly listeners. Our multi-regional station operations include 49 public radio stations and 42 translators in the Upper Midwest and California. As the largest station-based public radio organization in the U.S., we're committed to helping you develop loyal audiences with unique programs, tools and exceptional service and support. Connect with APM to find your Station Relations Representative and learn more about our dedicated team.